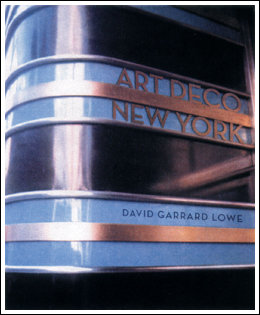 Join this visually spectacular journey through the glories of Art Deco New York, with famed author David Garrard Lowe. Over 275 illustrations, with many never-before-seen photos. This is the new definitive book on Deco NY. HC, 11” X 10”, 214 pages.